Moscow’s super-Open saw some exciting play in round 2, with only four draws on the top ten boards. Going into round 3, there are only 6 players with 2-points: Khalifman, Bologan, Korobov, Artemiev, Petrosyan (T) and Sethuraman. First prize is 18,000 euros. 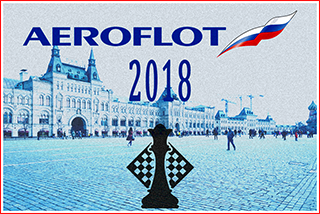 Moscow your web browser and/or your host do not support iframes as required to display the chessboard Black to play and crush! Moscow your web browser and/or your host do not support iframes as required to display the chessboard How does White win?